There has not been much true innovation in eating utensils in many centuries. Some would argue the fork was the last significant change, while others might say the spinning fork (to automatically twirl your spaghetti) was a nice addition. All kidding aside about the novelty spin fork, there have been a few significant innovations as of late. The first are a pair of smart chopsticks. As highlighted in this Discovery News article, Baidu has developed a set of “smart” chopsticks. With sensors in the tips, it can help to detect spoiled food. The second innovation is a high tech spoon. This spoon was developed to help diners that suffer from tremors (like those with Parkinson’s suffer). Built into the spoon are a set of sensors that detect when the spoon is vibrating and a set of motors that work to counteract the vibration. So the handle can move and the head of the spoon stays stable. This allows those with tremors to eat soup and cereal again. I loved the flavors of this dish almost as much as I love the colors in this photograph. 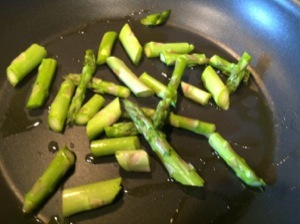 Nothing like some fresh asparagus. 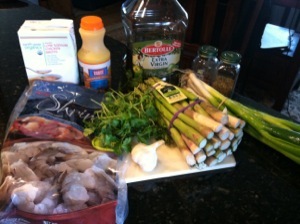 Add the shrimp and OJ. In a skillet, heat the olive oil over medium high heat. 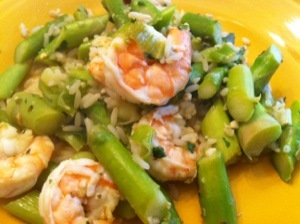 Add the asparagus and sauté till bright green, about 2 minutes. 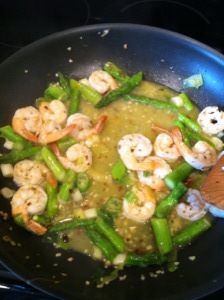 Add the shrimp, green onions, garlic and spices. Cook till shrimp is nice and pink. Add the juice and chicken broth and cook another minute. 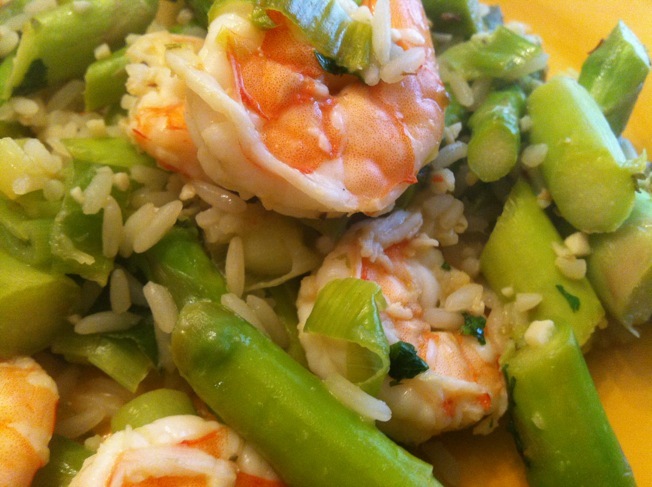 Remove the shrimp and asparagus and keep warm. Now increase the heat on the stovetop and whisk the sauce till reduced, about 2 minutes. Return the shrimp mixture back to the sauce and cook another minute, completely incorporating the shrimp and sauce together. 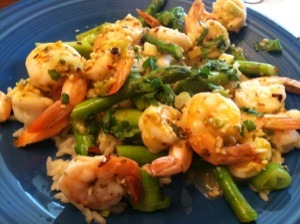 Sprinkle cilantro on top and serve.